AI is indeed the face of the future, and we are slowly walking towards it. Every field is trying to get into the AI segment and its implementation. Though it may sound hard to do, in reality, it’s just exhausting, time taking and very complicated. But would we, the humans stop? We have immersed ourselves in it. And today, right from transportation, to management, to marketing, AI is everywhere. 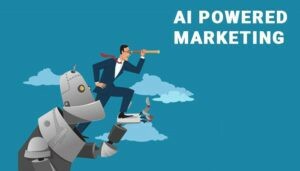 In fact, AI has started conquering the content creation and marketing too. So, we’ll now narrow the scope of AI to content and content marketing and will funnel all the possible and accurate information on the same. Now, if you are like me, then you might have got amazed, and also, you must have started seeing the machines and codes revolving around you. So, let’s first tell what AI in content marketing does before starting with AI-powered content marketing. We have already seen chatbots, and they have worked pretty well always. While a chatbot is on your website, a person chatting on the other end may sometimes will not even know the other side is a bot. So, such is the level of perfection in work. Now, think you have got a blog bot. Just input the parameters you would want in your blogs or the validations, and the bot will then automatically deliver the content! Presently, we have AI-powered online tools like CONCURRED, and more which provide with AI in the backend. Now, this can be creating blogs, sending the automated emails to the contacts, creating and editing of content for social media and promotions and more. You basically have to have a clear outline of the work you need to perform and then you could simply decide what you should get done through AI. 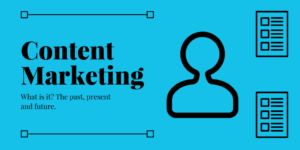 Now, when you have already made a list of all the cases just pick the cases on which you would want the content creation and content marketing to be done through AI. Next comes tools like CONCURRED, CRAYON or you can find a tool online, for integration. Now, you need to demo and test whatever tool you have selected. So, you know this now. If you have been successful in your testing now it’s time to get the money rolling out for the premium tools. Once you have finalized a tool, you have to get all the input ready for the content you would need and then you are all set to start!